Slow cooking has been around for millennia, but slow cookers are a fairly recent invention and work a little differently that other braising methods. A heavy, tight-fitting lid keeps moisture in the slow cookers, so that even the juices coming off the meat are recycled back into it. In effect, the slow cooker constantly bastes while it cooks. Heating coils in the outer pot ensure that the sides and bottom of the inner, ceramic pot maintain the same temperature. Most slow cookers maintain heat of 82-93° C on the low setting, and up to 149° C on the high setting. 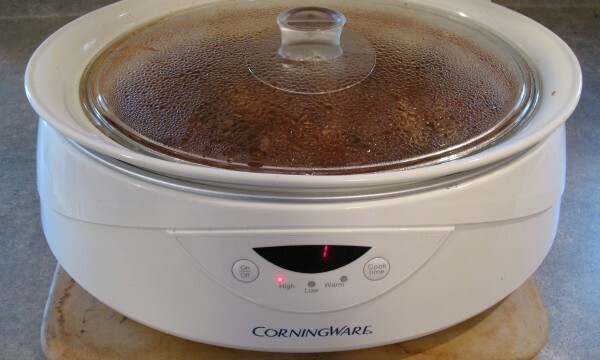 Liquids don't evaporate in a slow cooker. 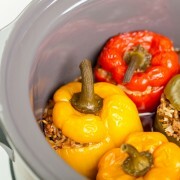 If you are adapting another recipe for a slow cooker, cut the liquid by a third to half. Fats and oils are not needed. Don't add oil, and do trim the fat from meat. 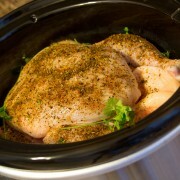 Poultry should be cooked with the skin to keep the meat from drying out. Some experts even suggest wrapping cut up chicken in foil and laying it over the vegetables so that it doesn't cook too fast. 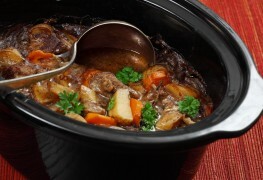 Meat, even cheap cuts, becomes extra tender and flavourful with slow cooking. 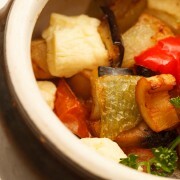 Root vegetables should be put on the bottom of the pot, because they take longer to cook than meat. Spices: Your meal will absorb the flavours put into the pot. For this reason, you might want to add stronger or fresh spices (including pepper) at the very end of the cooking time, rather than letting them percolate all day. Pasta and rice should be cooked separately. Dairy breaks down during slow cooking and should not be added until the last 15 minutes. Liquids don't thicken in a slow cooker — something to keep in mind if you have your heart set on gravy. 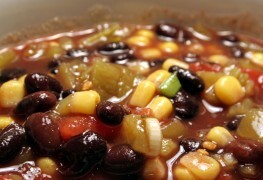 Beans should be rinsed and boiled in advance of slow cooking to kill any toxins. Never add frozen food! All ingredients should be thawed completely before being added to a slow cooker. Try not to peek. Lifting the lid lets the heat out and interrupts cooking time. Cheese dips or sauces — any sauce, really — heat and cook beautifully in a slow cooker, so having two or three allows for versatility in an evening meal. You can even make porridge or desserts such as cheesecake or pudding in a slow cooker. 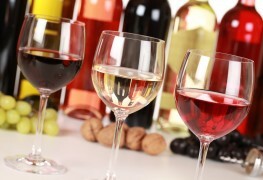 Look online for sample recipes and get creative!